Westbrook Family Dental was established in 2018 by Sarah Geisel and Rob Nagrath in order to provide quality, accessible dental care to the Greater Toowoomba community. As a practice, we cater to the oral health care needs of the whole family. From little ones to seniors, we have brand new facilities and caring professionals and support staff to make your visit a comfortable one. We understand that visiting the dentist can make some patients feel uneasy, that’s why we make sure we put client comfort at the core of our practice philosophy. Our dental services team are here to provide you the highest level of dental care at affordable rates. You can be confident your dental needs are being met by a team that really cares. Allow us to empower you and your family to make the best decisions for your health and lifestyle by offering transparency in treatment options and fees. 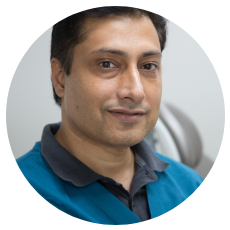 Beginning his dental career in 1999, Rob previously held the position of Senior Dental Officer for 6 years with Queensland Health and worked part-time in private practice before making the decision to enter full-time private practice in 2017. 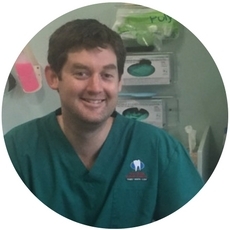 Recently Rob completed his Masters of Clinical Dentistry, with a focus on implantology, through Griffith University at the Gold Coast. With nearly 20 years of clinical experience under his belt, Rob is able to offer services covering all areas of general dentistry from routine preventive care to extraction of wisdom teeth and placement of dental implants. Rob is also accredited in the use of Nitrous Oxide sedation (“Happy Gas”) for those patients for whom anxiety is a barrier to obtaining the dental care they deserve. Rob and his wife call Toowoomba home and feel it is the perfect place to raise their young son and daughter. In 2005, Sarah was accepted in to the oral health program at the University of Queensland and completed her studies, with distinction, in 2007. In 2010, Sarah was offered a place in the Bachelor of Dental Surgery course at James Cook University in Cairns, where she studied in the program until 2013, at which time her work and family commitments brought her back to her home town in Warwick. Sarah has owned and managed Southern Downs Dental in Warwick since 2014 and enjoys spending time with her family, including her young daughter, Sophia. In 2016, Sarah was offered a place at the University of Adelaide and completed post graduate training in oral health, again graduating with distinction. Sarah is passionate about preventive dentistry and enjoys working with people of all ages and backgrounds. She is especially passionate about children’s oral health and the importance of fostering positive experiences with dentistry in the early years to pave the way for a lifetime of health and well-being. Jeff joined our team of friendly professionals after completion of his Bachelor of Dental Surgery at James Cook University in 2015. In his spare time Jeff enjoys travelling and spending time with family and friends, including his wife Nicole, who is also a dentist. 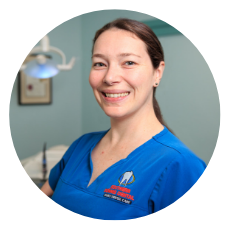 Nicole is the most recent dental profession to join our friendly team. 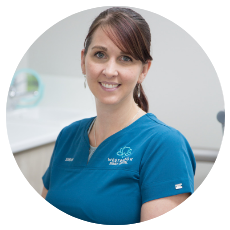 Initially Nicole trained as an Oral Health Therapist at the University of Queensland and practiced with Queensland Health from her Graduation in 2007 until 2012, when she was accepted into the Bachelor of Dental Surgery at James Cook University. Nicole graduated as a dentist in 2016 and has been practicing in Tasmania in private and public practice since. In September 2018, she married her long-term partner Jeff, who is also a dentist.